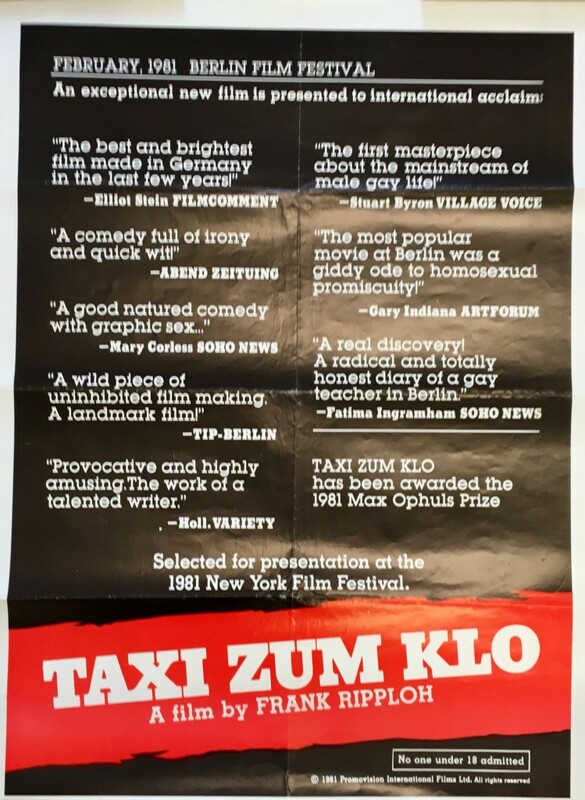 Original poster for the 1980 German film, Taxi Zum Klo (AKA Taxi To The Toilet). Measures approximately 23" x 30". 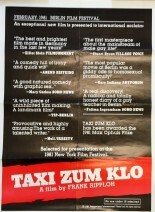 The poster has previously been folded, but is now rolled and is in good condition.